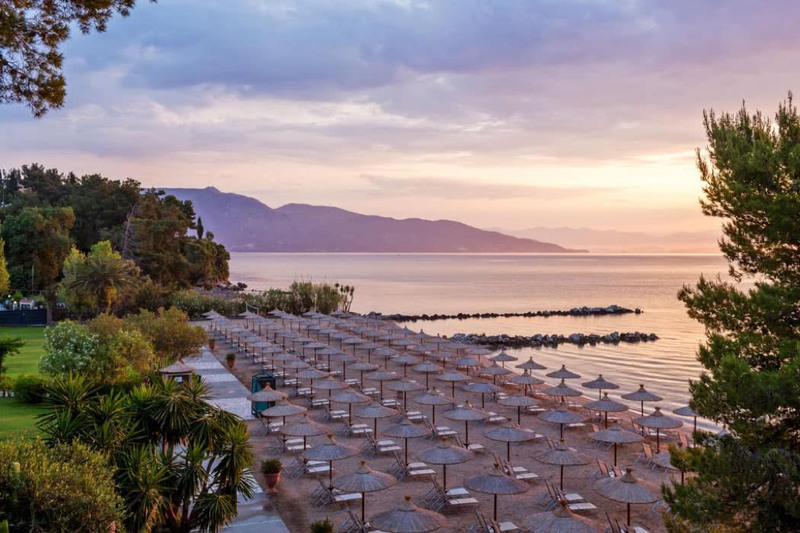 A beachfront hotel always has me seduced and one on the enchanting Greek island of Corfu that is also stylish with excellent facilities really has me hooked; I’m describing Kontokali Bay Resort & Spa here on the Ionian Sea coast of the island. 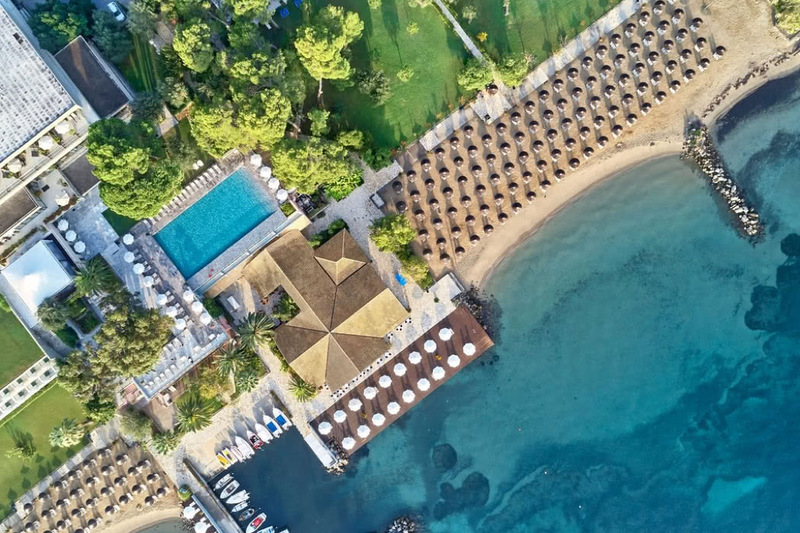 Kontokali Bay Resort & Spa is a member of our Lux Hotel Collection which means that when you book a room via our luxury travel concierge you get brilliant extra benefits at no extra cost. All guests get 20% off all spa treatments; one bottle of mineral water and one bottle of wine (750ml) per room upon arrival; bathrobes, slippers and a full set of toiletries; internet access throughout the hotel; welcome drink; one sun bed & umbrella at the beach or at the pool, use of the tennis court (flood lit excluded); free entrance to the heated swimming pool, Jacuzzi, Hammam, Saunas, Aqua gym exercise, and gymnasium (fully equipped for adults only); and one free 15 minute massage once per stay for all adults guests. All Lux Hotel Collection Guests will also benefit from $100 USD equivalent Food & Beverage credit to be utilized during their stay. DAY 1: Body Wrap with Chocolate & Supreme Hydrotherapy Antistress. DAY 3: Face Treatment with Avocado. 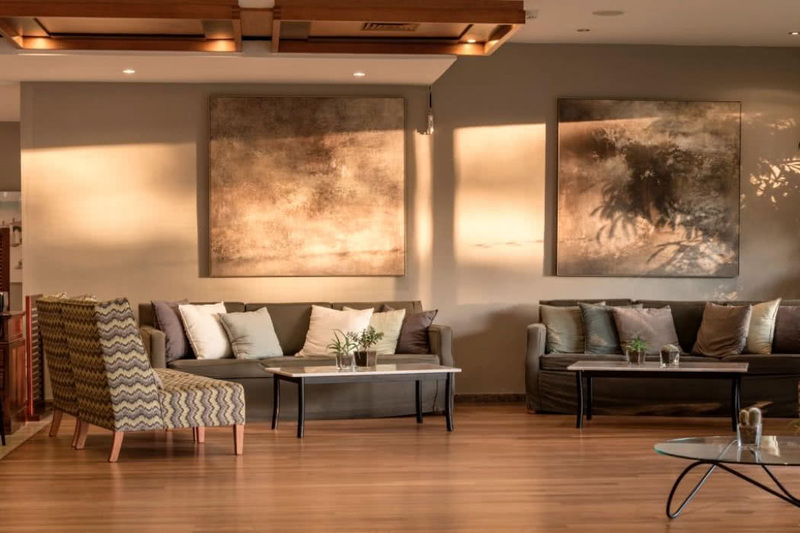 *Suite & Spa Package terms & conditions: only applies to bookings between 25 April to 26 October 2019. Package is subject to availability and cannot be combined with any other spa offer. Guests staying for 2 weeks are entitled to 2 of these packages (one per week). Yes, those ocean views are staggering, but we really love how spoilt you are here, with not one but two virtually private beaches at your disposal. The location gives you the very best of both worlds. You can truly get away from it all as you are tucked on an isolated Peninsula, but are literally 1km from the centre of the village resort of Kondókali. For even more action, Corfu Town is just 6km away and you are less than 5km from Corfu Port. Corfu Town is a must for a lazy day shopping and enjoying its café culture, it’s a cosmopolitan city which is a very manageable size with some beautiful Venetian architecture. You can also rent bikes to explore the local area around the resort and horse riding is available 10km from the hotel with a pickup service on offer. Corfu Golf Course is also 13km from the hotel. There’s never a bad time to visit the Mediterranean. While the peak summer months of July and August are hottest and busiest, it’s still a bearable heat. May to June and also September to October have the benefits of being both slightly cooler and avoiding most of the crowds. You can fly direct from many UK airports to Corfu in just over 3 hours. British Airways flies the route from London Heathrow or for a more budget option, easyJet, Jet2 and also Thomas Cook fly from a variety of UK airports. 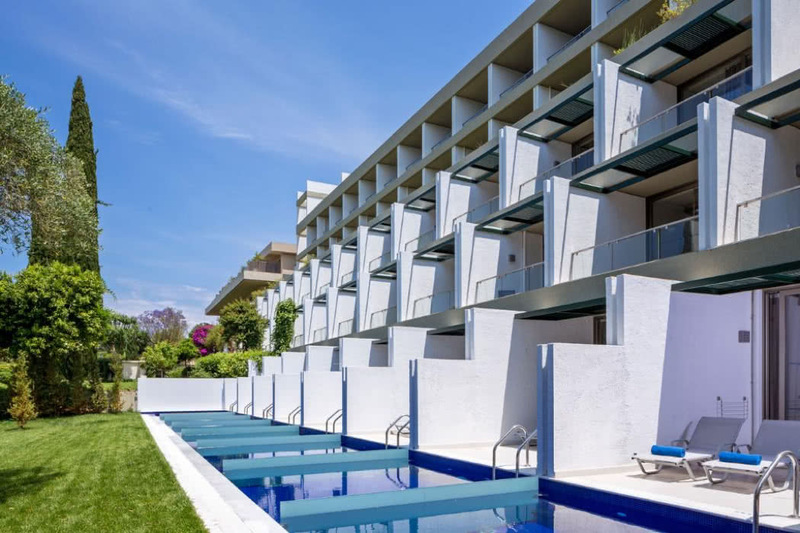 Corfu International Airport lies just 8.8km from Kontokali Bay Resort & Spa, so you can be sunning yourself in no time. Inside the décor is comfortably contemporary, stylish without being showy. 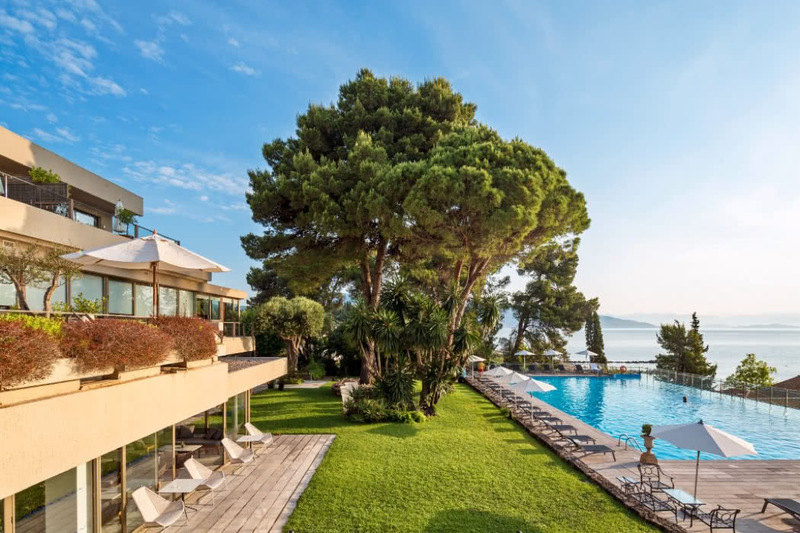 The external areas are beautiful and while it’s undoubtedly all about those stunning coastal views, the lush, landscaped gardens do a very good job of trying to steal the show. Your days can be as peaceful or as action packed as you wish. 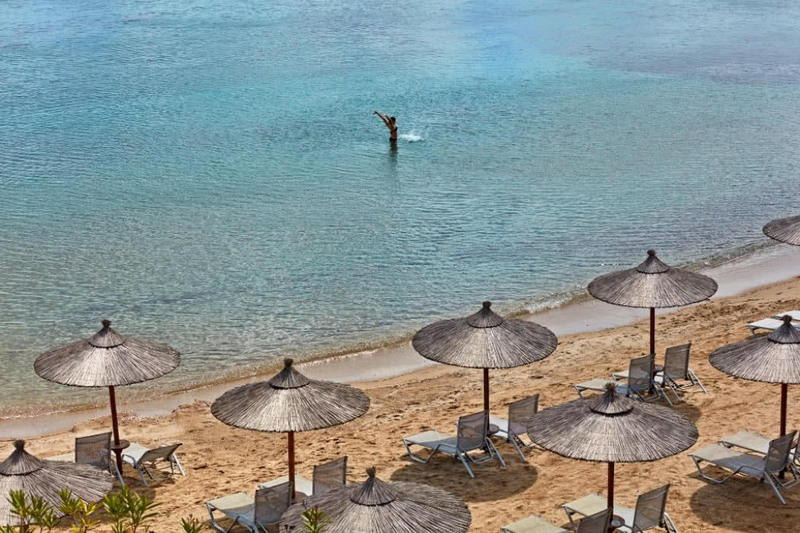 Time must be spent in spades on the stunning sandy, beaches; whether laying back on a lounger soaking up the Greek sunshine, or partaking in the wealth of water sports on offer. Back at the resort, the large, elevated salt-water overflow pool makes for a great alternative to the sands. When you need a little pampering and some all-important “me-time”, the Spa and Wellness centre is the place to be. 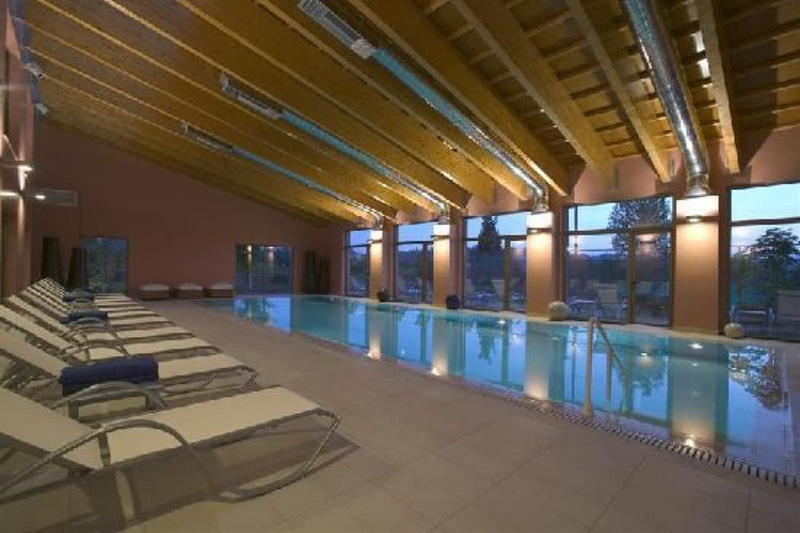 It boasts an indoor heated pool, a gym, sauna, whirlpool tub and hammam. 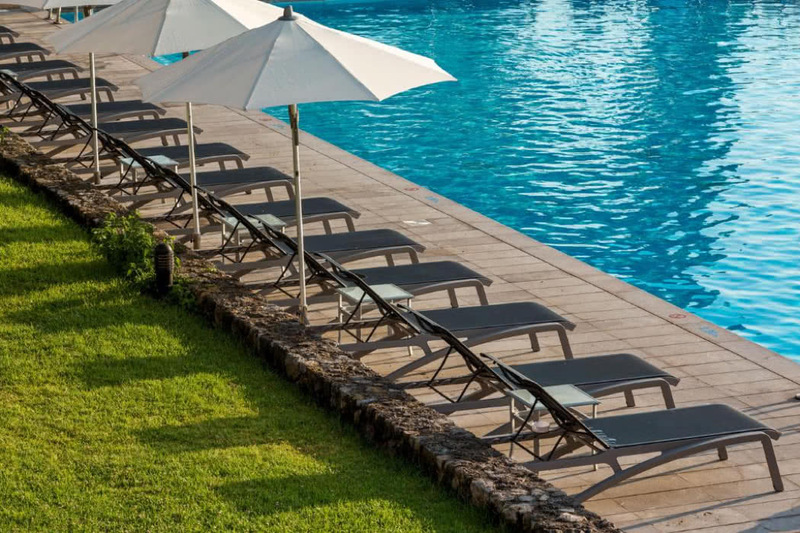 The resort is perfect for families, there’s a secluded Children’s Village which includes a separate children’s swimming pool as well as an adventure playground. And to really maximise your spa time, make use of the excellent Kids Club, safe in the knowledge that they are having just as much fun as you! 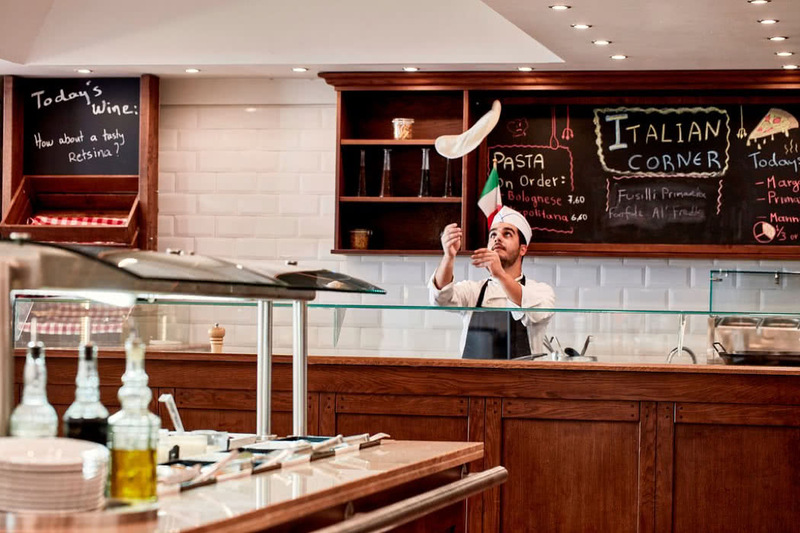 As well as all this, there’s an innovative activity program with yoga, hiking, aqua aerobics, dance classes and even Greek cooking classes for budding chefs. The service here is a model of hospitality. It’s warm, genuine and friendly. Literally nothing is too much trouble and they have that excellent skill of paying attention to all the little extras. 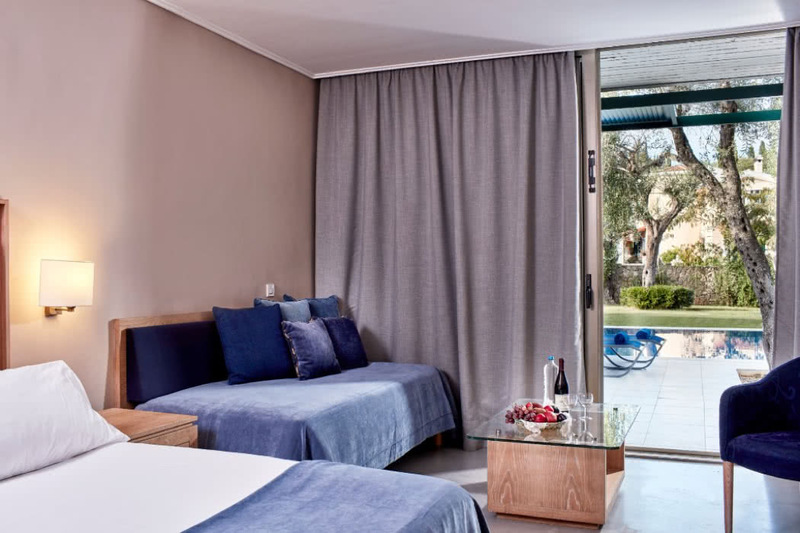 With the elegant guest rooms, your main choice is whether to opt for one of the 170 Standard or Superior Doubles which are located in the main building or whether to opt for one of the 89 bungalows. If you fancy being in the main building, definitely go for a sea view on one of the upper floors for the most breathtaking views. The bungalows have the advantage of huge terraces with a lawn area and that bit more space, one of the bungalows also has a private plunge pool. If your budget can stretch a little then it’s certainly worth going for a Suite, available both in the main building and bungalows they offer just that little bit more luxury and extra space to spread out and make yourself at home. 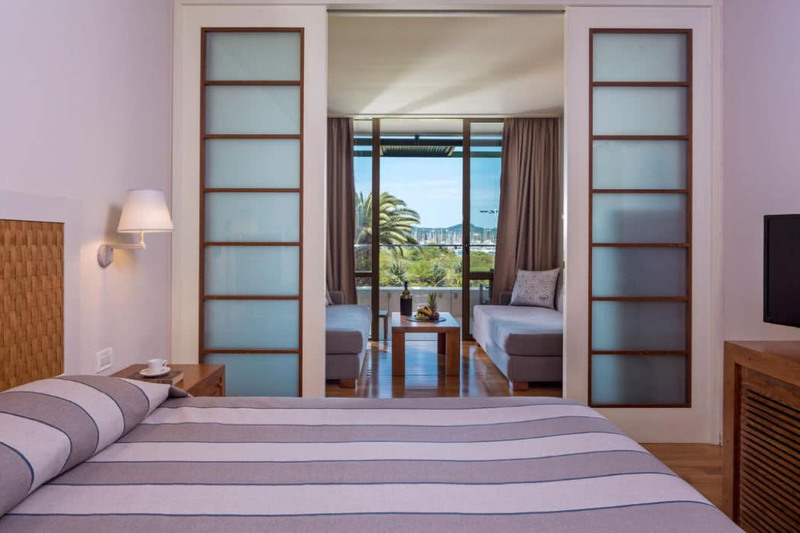 In the main building, the Superior Seafront Doubles are wonderful with large balconies which offer views of the gardens and the beach and have indoor seating areas too. The absolute optimum room though, which is definitely worth a mention, has to be the Presidential Suite. 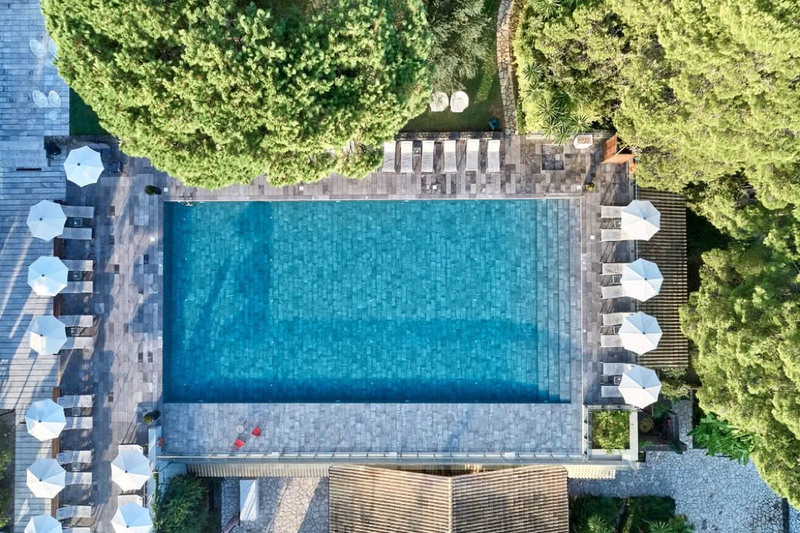 It features its own Hammam and small gym as well as a vast terrace with a heated private pool and 2 Jacuzzis. 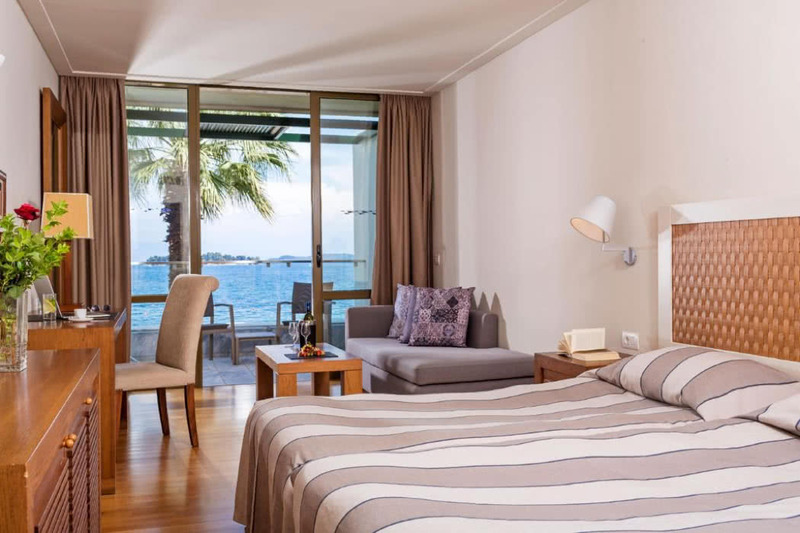 If this is over the budget, then the Executive Suites also have private pools with mesmerising ocean views and a wonderful feeling of privacy. At Kontokali Bay Resort & Spa you can look forward to exceptional Greek, Mediterranean and International cuisine. There’s an emphasis on fresh, locally grown ingredients and in dining with a sea view; blissful. The main restaurant, Horizon, serves a delicious Mediterranean buffet and has a reputation for its impressive breakfast spread. 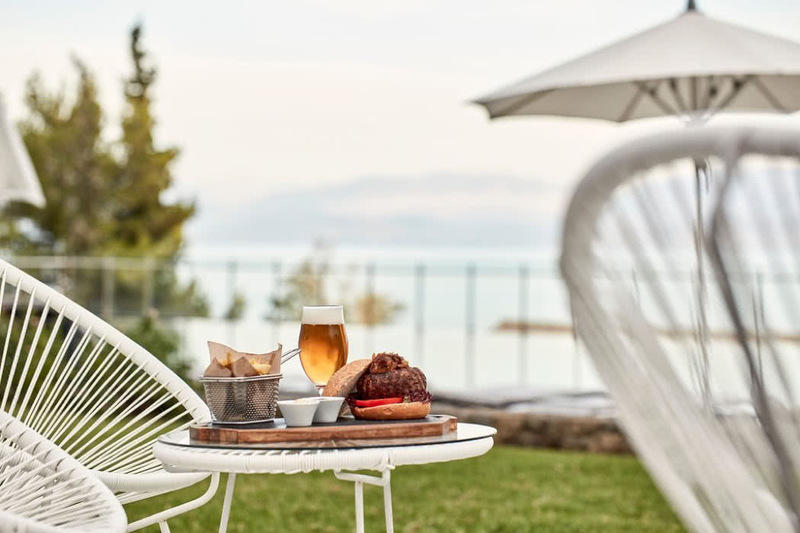 For more of a fine dining experience, Asterias serves a delectable menu with a twist to the expected, all with those stunning sea views as an accompaniment of course. 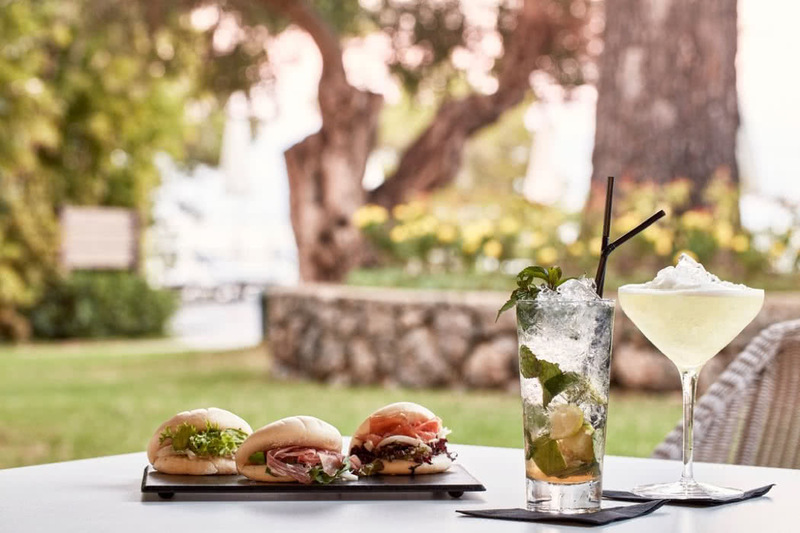 Lunchtimes should be spent at Marina Food Court for that traditional Greek Taverna vibe and during the day, beach tavern, Paréa will keep you refreshed and hydrated – they also serve a mean Greek barbeque which is not to be missed! There are also two bars, one on the beach and one in the lobby, both which come alive by night with live piano shows and daily dance performances to accompany your cocktail.